A good friend of mine came up with this idea to entertain the kids on the beach a few weekends ago. All we needed was plaster of paris and shells to decorate. You could do the hand print idea too for Mother's Day. My daughter had a lot of fun and loves to show everyone what she made. 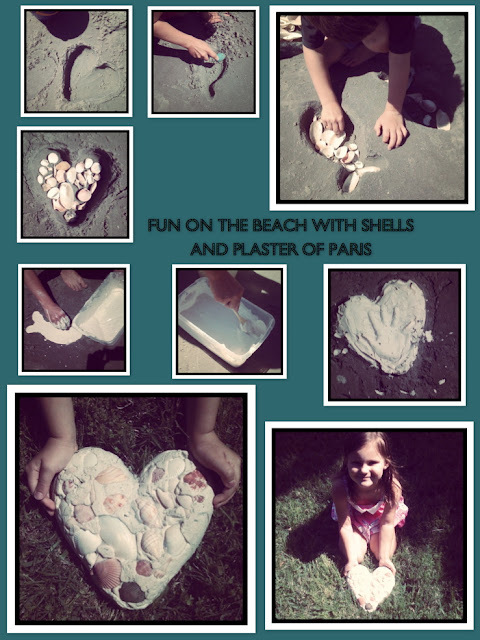 One tip is that if you are doing the shell version is to push the shells down in the sand before pouring on the plaster. You could do a lot of versions of this craft. Give it a try! !